Hey everyone, I hope you all enjoyed Holi, I had a great time too. As promised I am here to unbox and share my view on GlamEgo March 2018 box. let me tell you about GlamEgo. 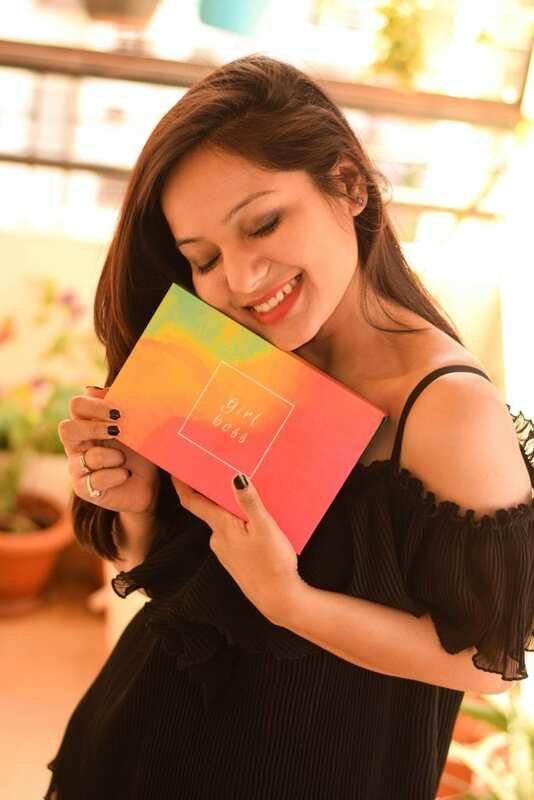 It is one of India’s top leading online beauty subscription box service where you get all the premium beauty products at the most affordable price. The box usually contains 4 products curated as per your preferences. So let’s get quickly sneak into my GlamEgo box. 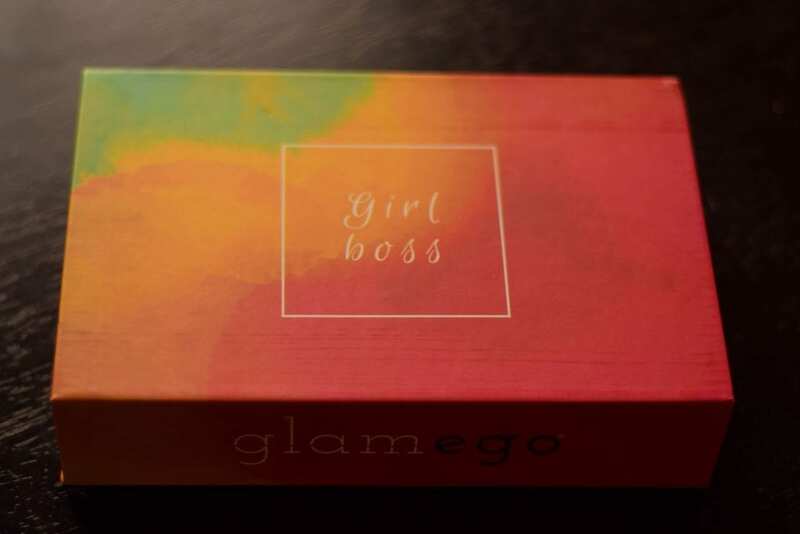 What’s inside my GlamEgo March 2018 box? As we all know the whole month of March celebrates colors and womanhood. This month’s GlamEgo box also has the same essence. Painted with vibrant colors makes it more attractive with a quote written Girl Boss on it. I absolutely loved the packaging. This month I got 5 products instead of 4, what else I could ask for. This is their first exclusive product I received in my box and that’s pretty much what I required to take out all the dirt, black and white heads particularly after Holi. This mask does exactly what I anticipated. I applied a thick layer on the desired area for 10 to 15 minutes after it dries, peel it off gently using a top to bottom approach. Make sure you avoid the hairline areas. I might not recommend this product to people who have sensitive skin because it causes little discomforts when you peel it. It positively removes all the excess oil and dirt but fails to remove the blackheads. It makes my skin very soft and bright. I am largely satisfied with the product. 100 ml for Rs 1000. Among all the product this one is my favorite. Everyday pollution is taking a primary toll on our health, skin, and hair by causing damage at a very slow pace. Spray it directly over your clean and dry hair before going out. It can even be used as heat protection which is an added advantage. It is a must-have product and it is travel-friendly as well. Here you can choose any one eye makeup product of your choice and I opted for mascara. The product looks good. Consistency is very smooth which makes it easy to apply and gives a very nice volume to the lashes. It stays for a very long time. 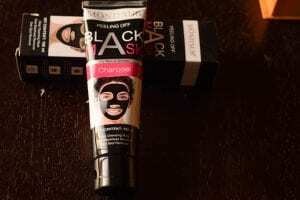 Blossom Kochhar Aroma Magic mask is the fourth product in my box. A great overnight leave on pack with no harsh chemicals 100% free of parabens. It claims to detoxify clogged skin, leaving your skin refreshed. Unlike other skin masks, it’s very easy to apply and rinse. As it is a gel based it suits all skin types. I would not say that it will drastically change your skin overnight, but you can see the difference on your skin the next day, after using overnight the skin feels softer and lively. This is the last product which comes as their anniversary gift. It is a pink color nail enamel with glitters. These were the 5 products in my GlamEgo March 2018 box and I am completely captivated with all of their premium products at such affordable price. Please go and book your GlamEgo box today because it’s worth a buy.